If you regularly use email, you could be leaving your computer open to a multitude of threats. 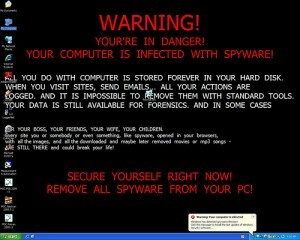 However, following some simple free computer maintenance tips can help you protect your computer from e-mail threats. Identity thieves, hackers, and other criminals use email to gain access to your personal information, so it’s important that you cut them off at the pass with these simple tips. Choose an email program that comes bundled with a strong spam filter. If you’re using a stand alone email software on your computer, you may want to add a separate spam filtering program to ensure that your computer is protected. Spam emails frequently contain links to dangerous software programs or sites that harvest emails. They can also be used for phishing, a scamming method that hackers use to collect personal information such as birth dates and credit card numbers. Use a spam filter to help secure your computer. If an email looks suspicious in any way, don’t click on any of the links it contains. If you’re in doubt that it is from the sender it appears to be from, open a new tab in your browser and type in the web address directly to go to the site, instead of clicking the link. Most major websites have a contact address that you can use to forward suspicious or fraudulent emails to – if you get an email from someone misrepresenting themselves, forward it on to the site owner. One of the easiest ways to protect your computer from e-mail threats is to stay on top of your software updates. Your operating system regularly puts out updates to close security gaps and loopholes. Browser developers do the same thing. By upgrading your software when these updates are released, you can protect your computer against malicious attacks. Installing an MRT (malicious software removal tool) will also allow you to remove any viruses that do make their way in. To protect your computer, use a different password for your email than you do for every other site you log in to. Most people use the same password for all sites, which means that if their email is hacked, the hacker gains access to their bank account, phone records, and all their other online information. For your safety, use a different password for each site you use. In addition, change your password every few weeks. Choose a password that contains 7 to 15 characters, made up of letters, numbers, and symbols. Most victims of hacking are, in fact, victims of poor password choice. Avoid using passwords made up of words, birthdates, or simple combinations such as “1234” “abcd” or other easy to guess key strings.